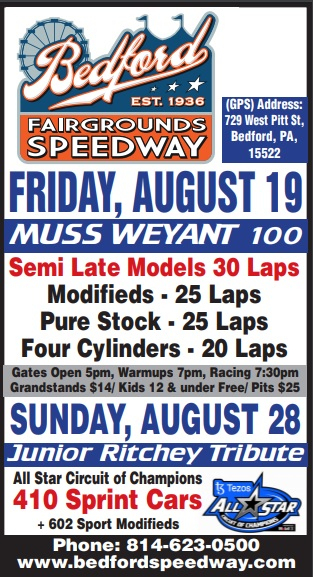 After another weekend of rain wiped out racing action, Bedford will again try to kick off the 2019 racing season this weekend with a busy doubleheader of Friday and Sunday night racing. Fast Friday Racing returns with a special visit from the USAC East Coast Sprint Cars, joined by the Late Models ($2000 to win), Modifieds ($750 to win), and Pure Stocks ($300 to win) in racing action. After another weekend of rain wiped out racing action, Bedford will again try to kick off the 2019 racing season this Friday night, April 19th. 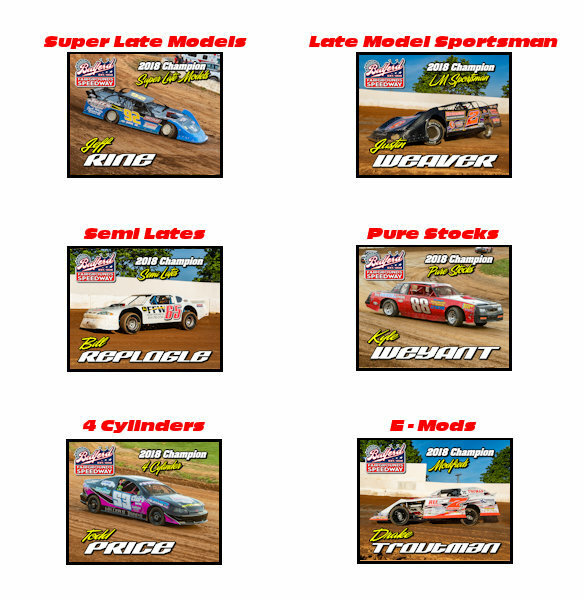 After the first two attempts to get the 2019 racing season underway were washed out this past weekend, Bedford Speedway looks forward to a busy racing doubleheader coming up this week. Although Friday qualifying was dominated by speedway visitors, track regular Jeff Rine defended the home turf by grabbing the Keystone Cup at Bedford Saturday night. after starting deep in the field. The win was his fourth of the season and the 26th of his career at the track in the potent Bob Elbin owned car. The 60 lap romp was worth $15,000 to the team. In other action, In other action, Greg Moore dominated the Limited Late Model event and first time visitor Casey Fritz, came from Zanesville Ohio to close the season with a EMod win. 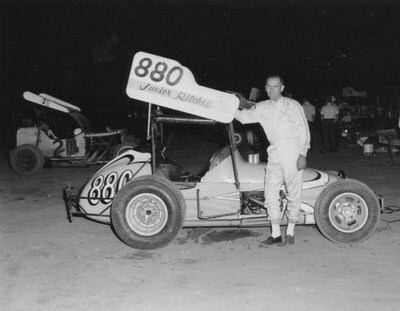 Everett's Jr Ritchey, with the 880 sprint car in 1970. Jr and Breezewood's, Roy Morral, partnered for many years, making the 880 one of the most famous cars ever, in the northeast. Wanted: Old photos of the speedway, fair, or fairgrounds. Please send or email old photos to the speedway office. Photos may also be dropped off at the Fair Office. Please include name, address and phone number. Photos will be scanned and returned with all proper credits given to the photographer.